The sun is shining this morning here at Apache and it must have gone to our heads as we are making some massive reductions to our brand new G-Star Spring Summer 2013 collections. We have reduced selected brand new G Star Raw T Shirts, Polo Shirts, Shirts, Knitwear and Jeans up to a huge 50% Off. Don’t delay, as at these crazy prices, it wont last long! 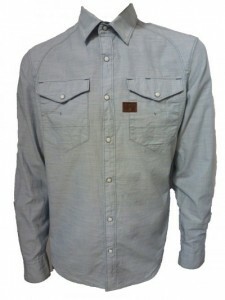 This is the G Star RCO Arizona Chambray Shirt and is Half Price at £45.00. It features a soft, washed, lightweight chambray fabric and popper button fastenings. Paired with a slim fit raw jean this is ideal for a big lads night on the town. 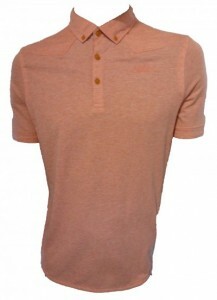 The G Star Fifties Marl Jersey Polo Shirt is also reduced by 50% and is now only £27.50. This brand new Spring Summer 2013 design features a soft, marl effect fabric and subtle G-Star Raw Branding, and is ideal with a pair of shorts for this season. 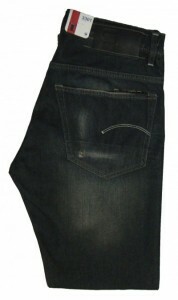 Finally, this is the G-Star Raw Denim 3301 Straight Jean Dark Aged Wash. It was priced at £100.00 and is now only £50.00, a huge saving of 50%. Like we said, don’t miss out on these spectacular deals as they will not be around for very long, so get yourself over to Apacheonline.co.uk now and start saving!